We had one time listening to rumors that Samsung was planning to renew its mid-range and now confirmed. The Korean brand has announced the second generation of its Series A Galaxy -Devices that combine an attractive design with a technical background who enrolls in the upper middle range. 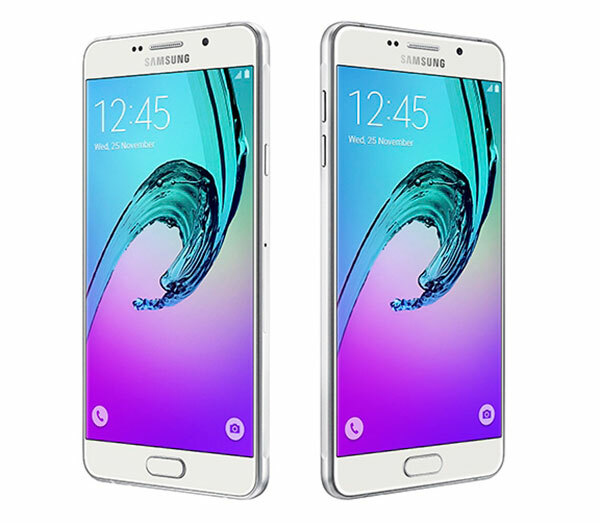 The first Samsung Galaxy A debuted at the last stage of 2014 and its success has made ​​Samsung want to repeat. The new smartphones that are added to the catalog of the brand are the Samsung Galaxy A3 2016, Samsung Galaxy A5 2016 and Samsung Galaxy A7 2016, that is from which we are concerned in this article. The Samsung Galaxy A7 is the largest model in the range, but also the size, also benefits from a slightly more full-featured than his brother small, such as fingerprint sensor compatible with Samsung Pay. We tell you all about the Samsung Galaxy A7 . The design is one of the pillars of the phones that Samsung has released throughout this year. In March they showed the Samsung Galaxy S6 and Galaxy edge S6, which debuted a new design language in which the materials are the protagonists to-metal frame and glass to cover both sides. The housing of the first Galaxy A were made ​​of a single piece of aluminum (unibody), but now Samsung has decided to go the same way they did with their flagship. The Samsung Galaxy A7 has a rectangular shape with rounded corners, with an aluminum frame and toughened glass as a protection on both sides, plus the screen is much adhered to the edge. It measures 151.5 x 74.1 x 7.3 mm and weighs 172 grams. Speaking of display, Samsung Galaxy A7 panel integrates a 5.5-inch Super AMOLED , which develops 1,920 x 1,080 pixel resolution without changes from the previous version. On the front there is also an element that is worth commenting, and is none other than the fingerprint sensor. This piece is one of the main developments with respect to the previous generation and, similarly found in other models brand, the sensor is integrated in the start button. The terminal is compatible with the payment system Samsung Pay, I would come to Spain in early 2016 . As for the cameras, the rear sensor has 13 megapixels and takes stabilizer optical , while striker stays in 5-megapixel (both have lens f / 1.9 ). As What Is Always On Display Samsung Galaxy S7? Samsung Galaxy S7 ready for sale in March? The official name of Samsung Galaxy S7 with 3 Variants ? Samsung Galaxy A9 belongs to the elite of Smartphones, as it gets 73,500 points AnTuTu! The new Samsung Galaxy Note 5 when it launches in Europe? Samsung Galaxy S7: The first Smartphone Snapdragon 820? Samsung W2016, does a folding Galaxy S6?